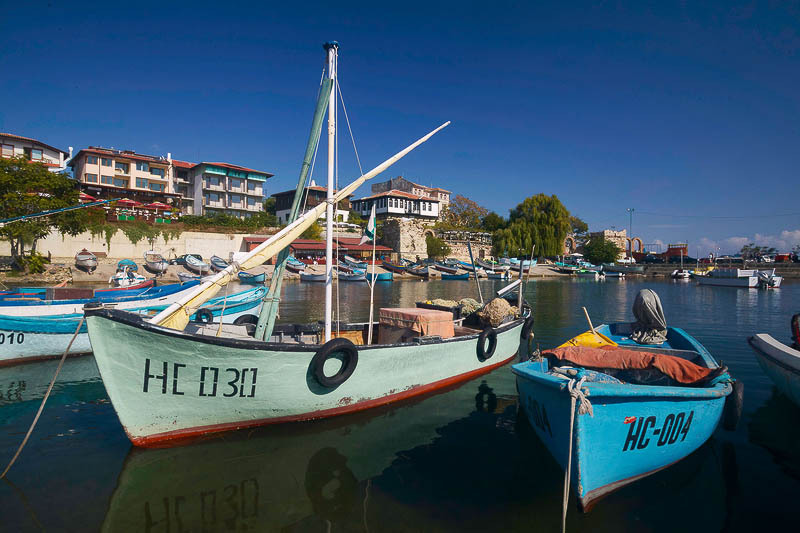 Scenery of Nessebar port with fishing boats in sea water, old and new buildings on coast and background of deep blue sky. Seascape of seaside town for summer tourism, vacation and holiday. Historical, archaeological and tourist destination.